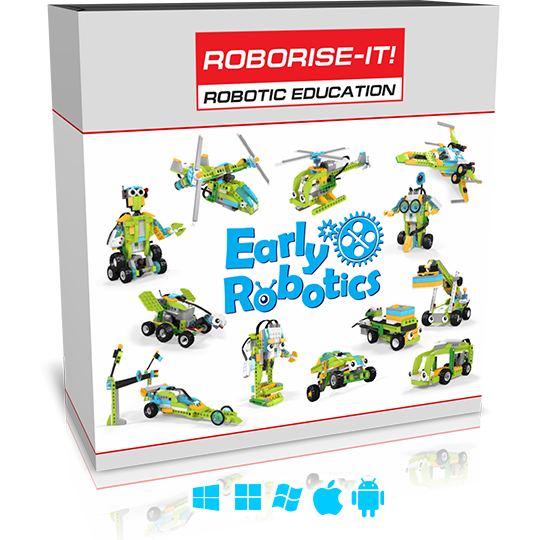 Early Robotics curriculum focuses on the technologies that modern children face. 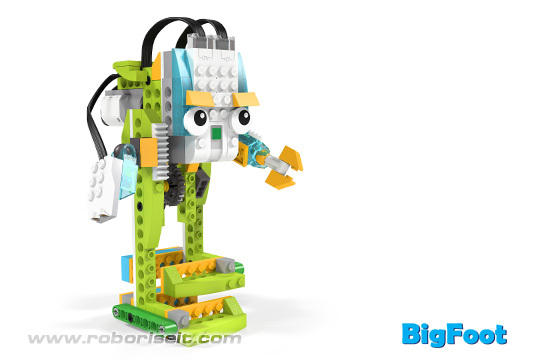 Robotic mechanisms are increasingly becoming part of our lives. Therefore, we strive to talk about them as much as possible with our little students. 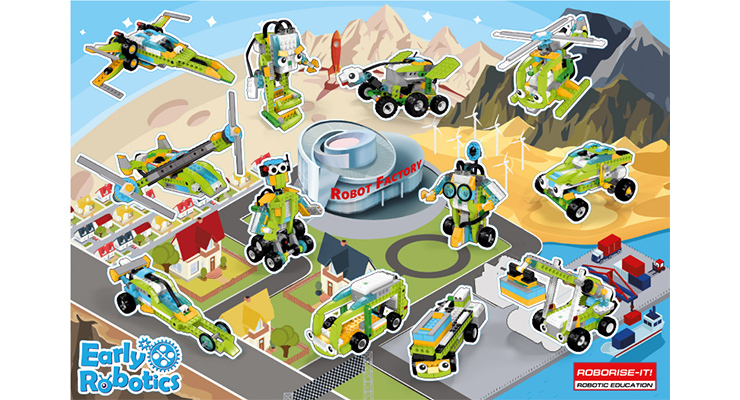 Robots, smart houses, internet of things, robotised factories and usual things with automatic smart functions, all of this is our world that we introduces to children. This 12 lessons was created especially for you and your inquisitive children! 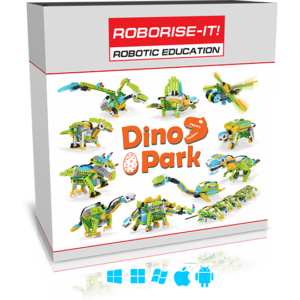 You will have a great opportunity to introduce children to the hardware and software secrets of creating robots. 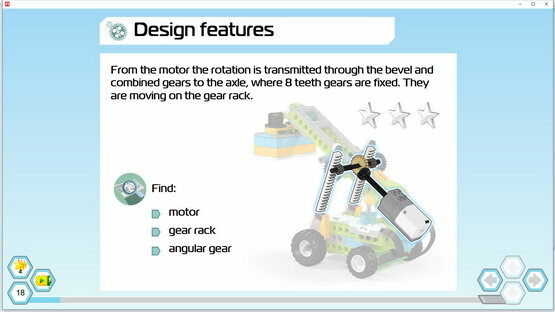 During the course, children will learn how to build robots with walking mechanism, convert rotational motion into translational motion, increase force with levers, gear and belt drives, work with motion and tilt sensors. 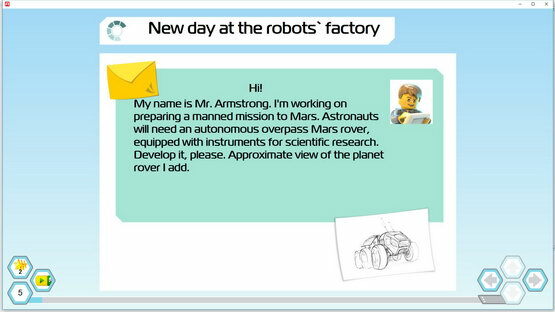 And, of course, they will be able to revive their robots using fascinating programs. 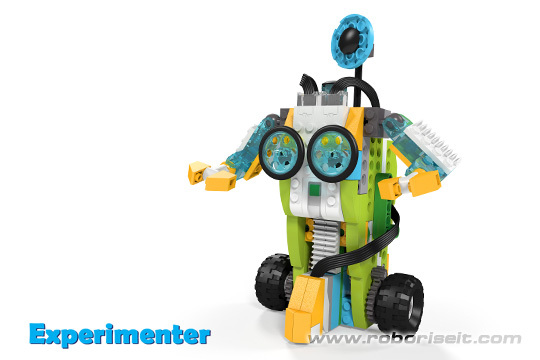 Every lesson kids make a new robot with a certain functionality. We start with a problem that kids should solve using new knowledge, skills, teamwork and creativity. 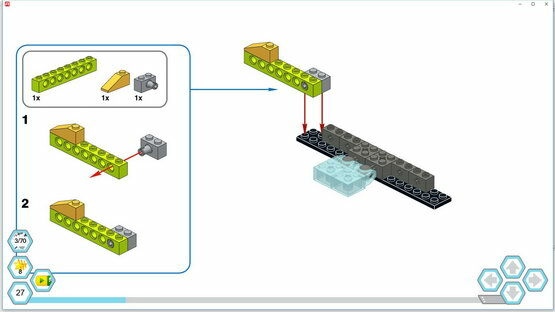 All you need is LEGO Education WeDo 2.0 Set 45300 and Internet connection. Smarty opens this course. 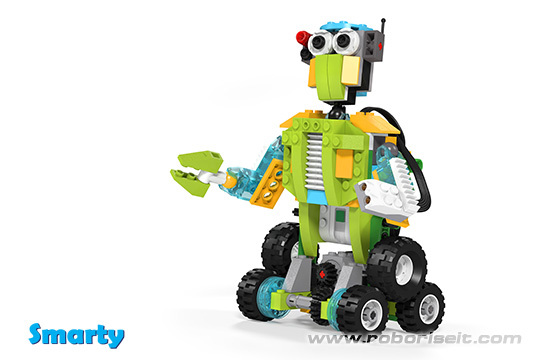 He introduces children to the exciting world of robots. 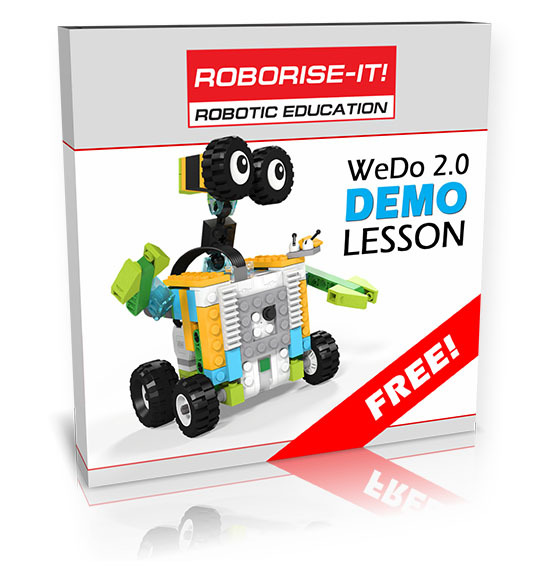 In the lesson, we consider the role of an assistant robot in a modern house. How should it be to interact with all members of the family? 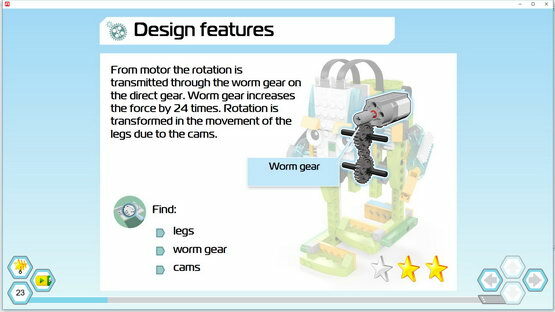 Children build a humanoid robot, consider the transfer of rotation from the motor to the wheels and program the basic functions of the assistant robot. If you live in a big city, you know exactly what traffic jams are and how it hard to travel from one end of the city to the other in time. On this lesson children are working on the solution of this problem. 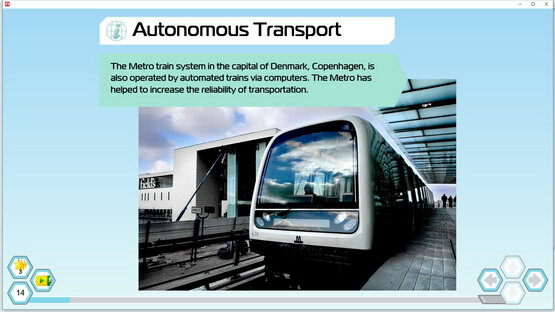 One possible solution is autonomous robotic public transport. 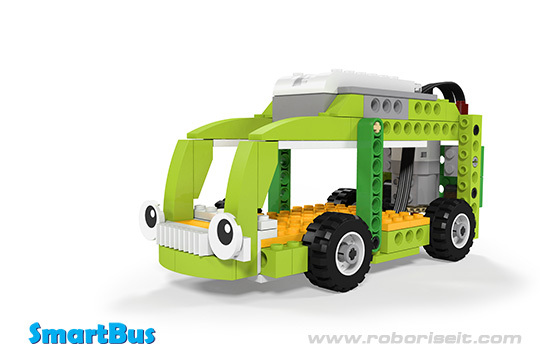 Children are discussing the features that such transport should have and build an autonomous SmartBus. He can pick up passengers at bus stops and save their time! Every thousandth of a second are important in modern sport. Therefore, it is extremely necessary to use precise tools for measuring time. Especially when it comes to racing ultrafast dragsters! 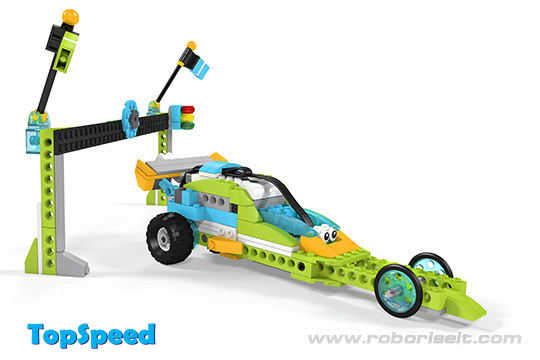 In this lesson, children will not only learn how to build a fast car, but also develop an intelligent system of the finish detection! If you have never thought about how goods travel between countries, it's time to learn more about shipping. Arriving at the port, a modern container ship delivers more than 20,000 containers. The task of the harbor workers is to unload them as quickly as possible and load new ones. In this and the next lesson children will create the robots than can halp solve this problem. Autonomous cargo platforms can quickly and accurately move containers over the warehouse. 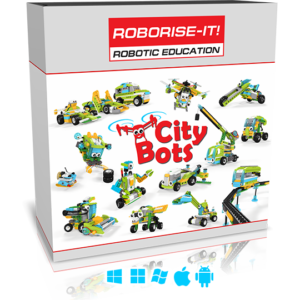 In this lesson, children continue to create a robotic harbor. 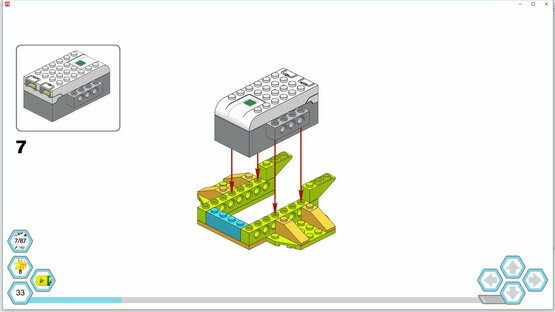 To load autonomous cargo platforms, you need to create a special loader. Children will compare the manual and automatic way of control the cargo boom and choose the most effective one! Carrying out a rescue operation should always maintain the safety of rescuers. 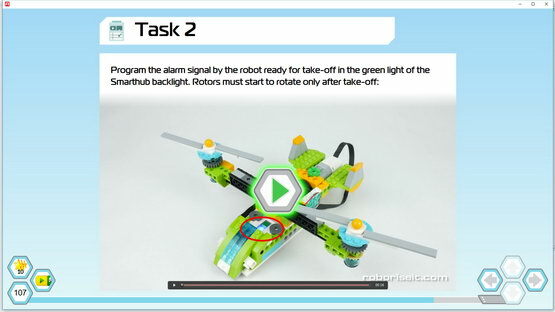 Therefore, the flying robots are ideal for such tasks. 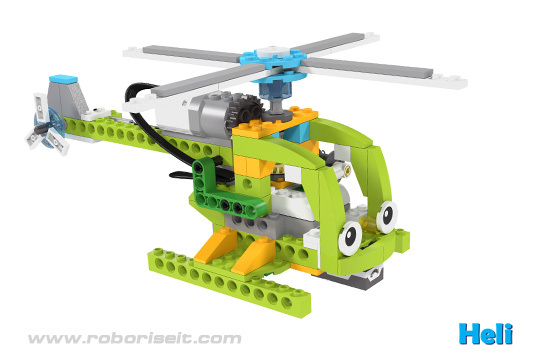 In this lesson, children learn about helicopters` design, UAVs and how it can be ussful for rescue missions. If you need to combine the maneuverability of the helicopter with the speed and cargo capacity of the plane, the tiltrotor or the tiltwing aircrafts is the best choice. 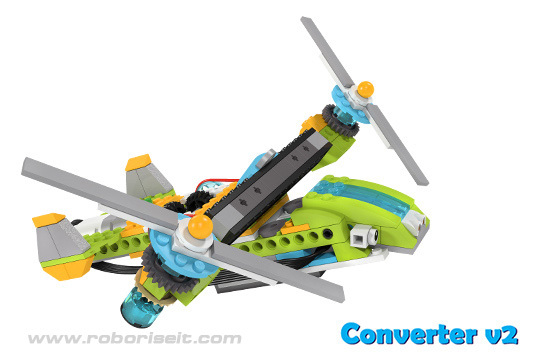 In this lesson, children discuss the pros and cons of a classic helicopter and plane, and consider the design of tiltrotor aircraft. 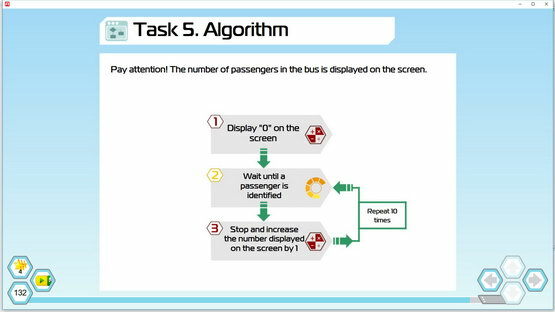 To ensure safety, children will program the system, which is inform about the fuel level in a tank. 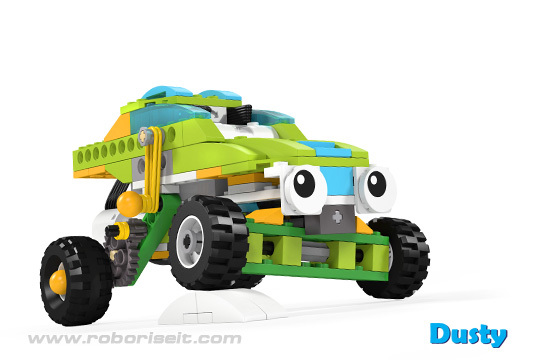 When designing robots intended for off-road, you should not forget about the possibility of a overturn. In this lesson, children will create protection from such trouble. Thanks to the tilt sensor, their robot will know its position in space. 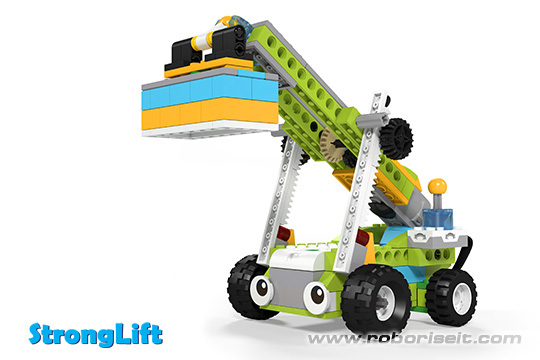 Robot's suspension, provide permanent wheels` contact with the surface on the off-road. 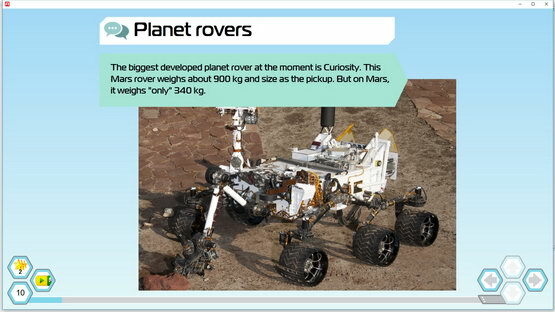 Autonomous rovers, sent by humans to Mars and Moon, are the top of scientific and technological progress. 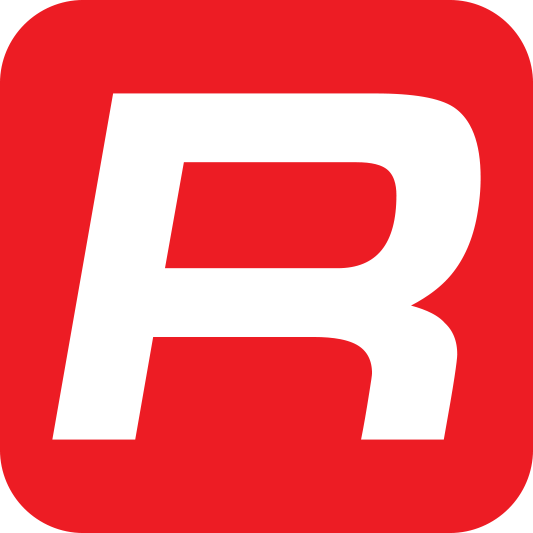 They take all the most advanced and reliable solutions created on Earth. 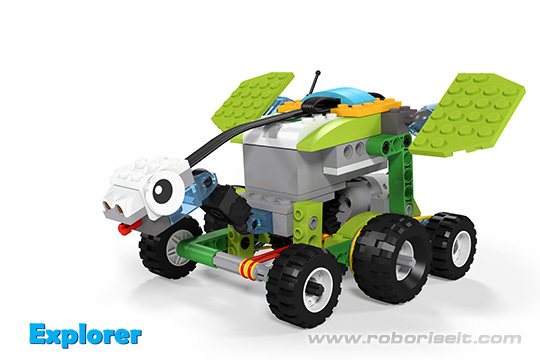 In this lesson, young students will create the exploration rover whees all-wheel drive chassis and program the protection against collisions and falls. 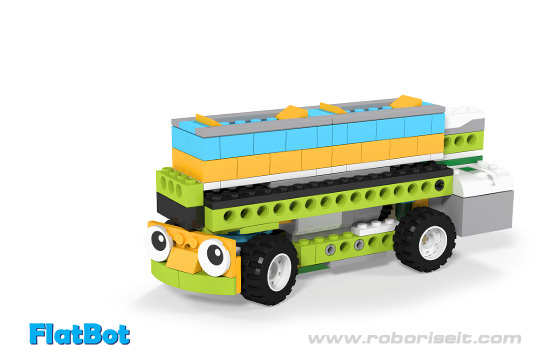 In most situations, the robots whees wheels and tracks can work successfully. But what if we need even higher off-road capability? Walking robots have an ultimate passableness. But they are very complex in mechanical and software aspects. 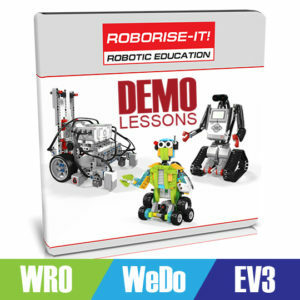 In this lesson children will learn about the specifics of the walking robots, build and program one of them! 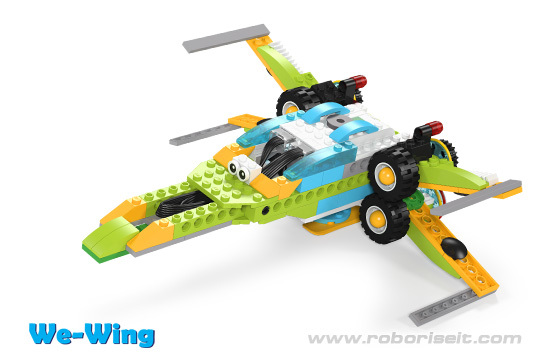 The We-Wing spacecraft has 4 wings, but how to bring them all to the motion from a single motor? 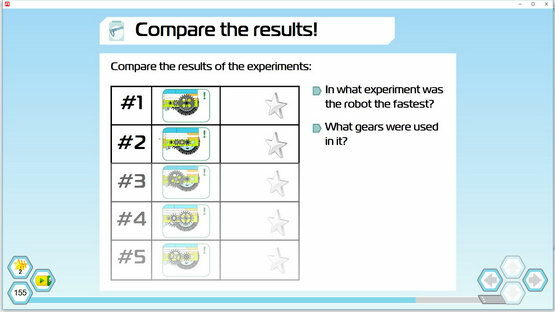 The experiments whees belt drive will help you find the right combination and better understand how to change the direction and speed of rotation according to your own plan. 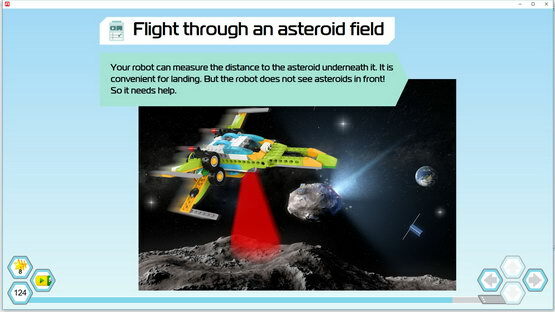 And at the end of the lesson you will be able to compete in the control of a spaceship in the asteroid belt. 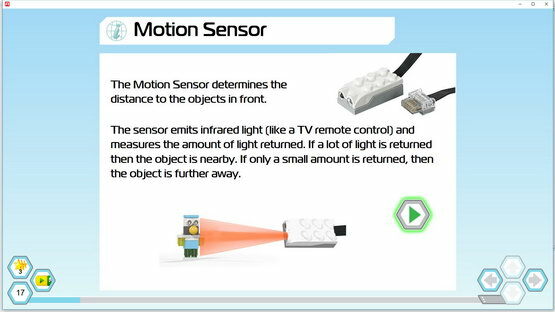 The built-in motion sensor will help with this. There are a lot of boring similar tasks in the work of experimental scientists. Some experiments can last for months and some of them realy dangerous! Therefore, they really need a reliable assistant robot. 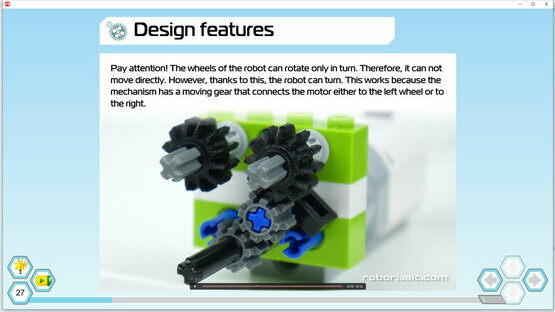 Students will create such robot in this lesson. He will be able to move along the line, marked on the floor of the laboratory and uses only one motor! Fantastic? No, it is the Science! 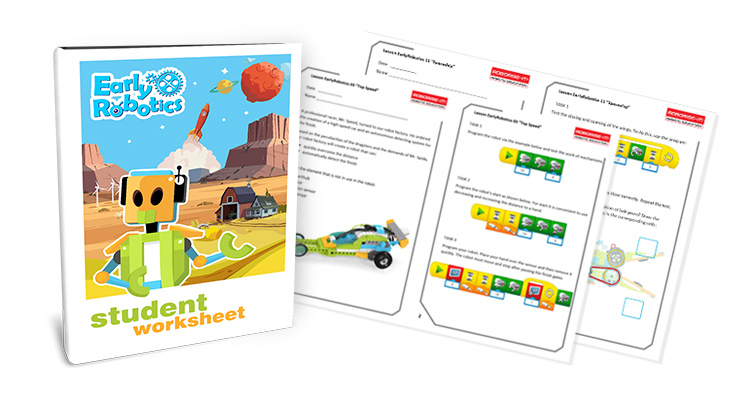 Worksheets will be available if you buy Optimal or Education Center plans. It will be available if you buy Optimal or Education Center plans.